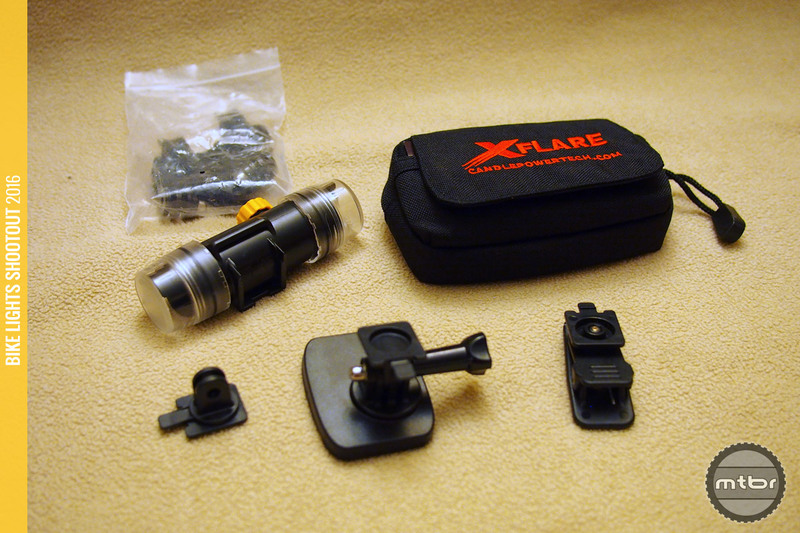 The CandlePower Tech XFlare is a 750 Lumen white light with 1200 Lumens of flashing colored outputs. 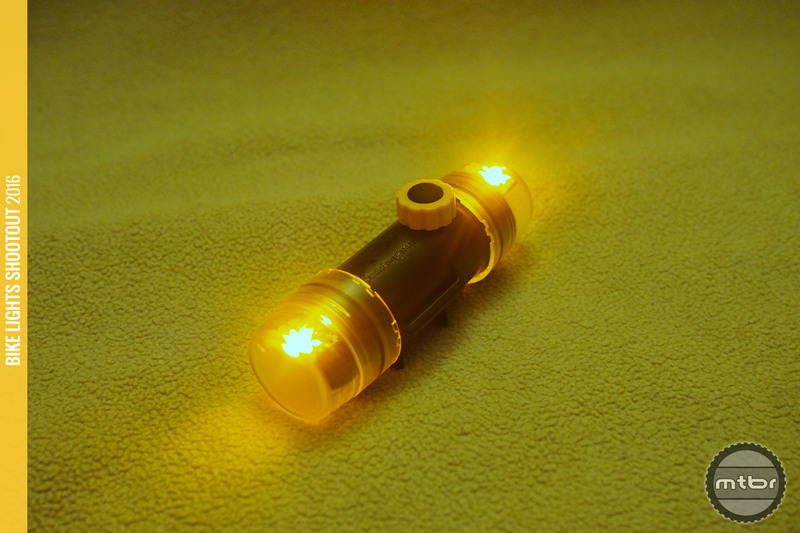 The arms race towards the brightest LED bike lights may be subsiding. What we’re seeing now is better design at more affordable price points to really dial in these lights for riding and for other applications. The XFlare had this in mind. It can be used for biking and a dozen different applications with all the mounts and ruggedness required. Headlight, tail light, camping light, walk the dog, handyman and even party light are right in its wheelhouse. When this arrived at our offices, we didn’t know what to make of it. It’s a bike/utility light, but this was the first one we’ve seen with a dozen uses designed in the light. It was a bit bulky and more rugged that we’re used to, but we’ve used it on the bike and around the house and we’ve been very pleased so far. Kit includes many mounts for different applications. 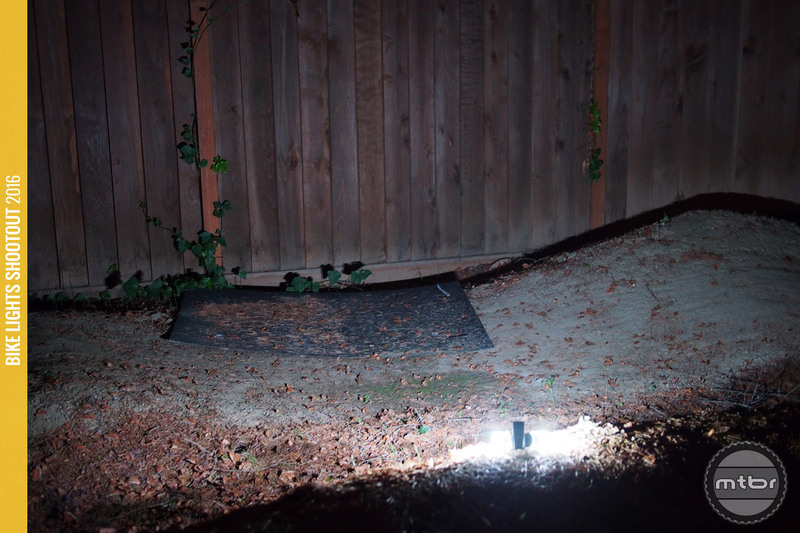 This LED light does not use a reflector, so it has no beam pattern to photograph and measure. 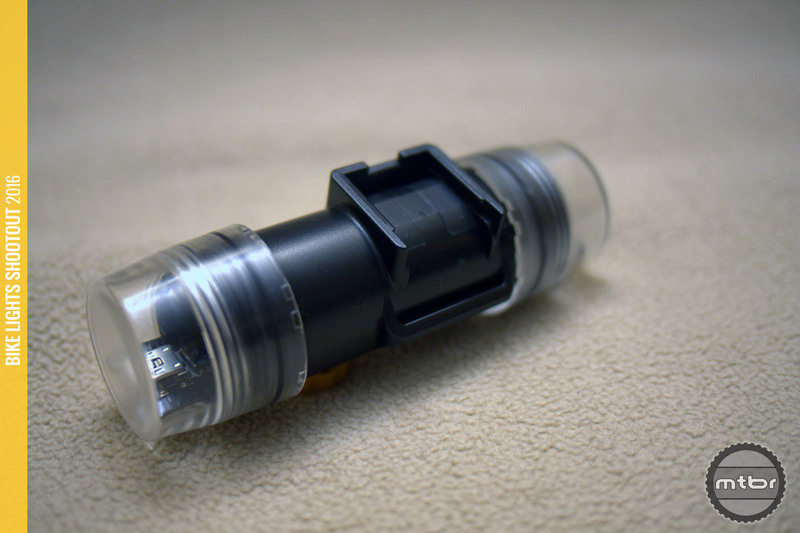 Rather, it just throws the light all around and uses these semi-clear plastic caps to disperse some of the light. 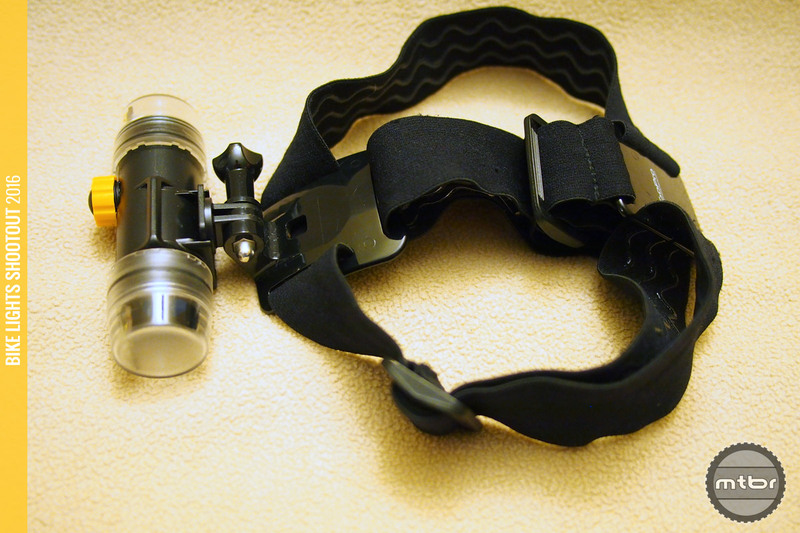 It’s definitely a good ‘to be seen’ light and it is bright enough to see with for a short distance. The CandlePower Tech XFlare was bright enough to light our test track and do some laps. 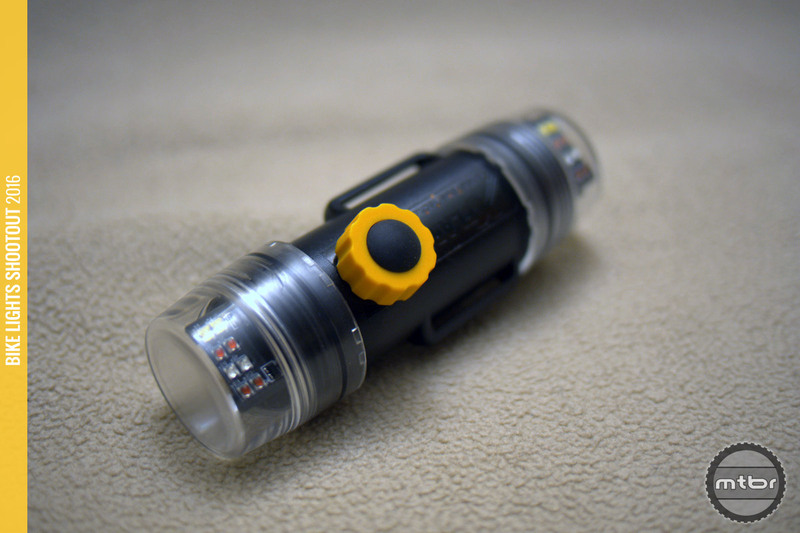 In its flashing modes, the light has two output levels and they’re able to pump up to 1200 Lumens since heat is not as big a concern. It is crazy bright indeed, as it is visible through the thickest fog or the brightest ambient lights. As a daytime running light, this will get the job done. There’s 4 light colors too aside from white, and the user can select two colors they prefer to use in the light modes available. Programming was actually really easy but with one light button, we fear that many buyers may not discover these other light colors already in the unit since nobody reads the manual these days. The light is strobing and although great for emergencies or for parties, it is not the best out on the road for drivers and other cyclists. CandlePower Tech said it’s not an issue at all to update the software and offer other light modes if customers seek it. For now, we recommend the light be pointed down while in flash mode, as it’s plenty bright to be seen. Four other light color LEDs are in each unit. This is where the light really shines, as the light has a ton of mounting options available. It is GoPro mount compatible so that whole mounting ecosystem is available. The magnetized mount makes it handy around metal surfaces. 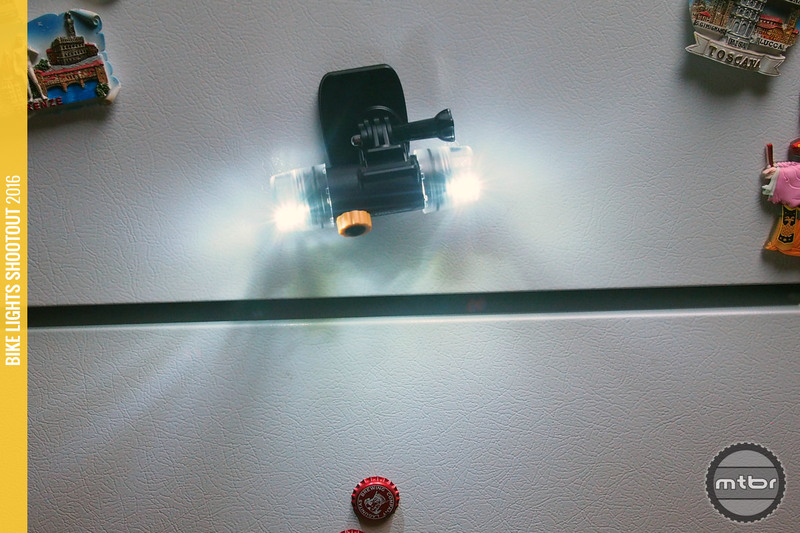 It is cool to have such a handy bike light that we can leverage for our daily routine. It’s not the smallest, but the iPhone does a good job at that already with its tiny light that gets brighter with each revision. Rather, it’s a light that’s easy to find, easy to mount, and runs a long time in all conditions. For more information visit candlepowertech.com. Low profile mount accepts many mount options including the GoPro interface. Switch is fully waterproof and so is the charging interface inside the sealed cap. 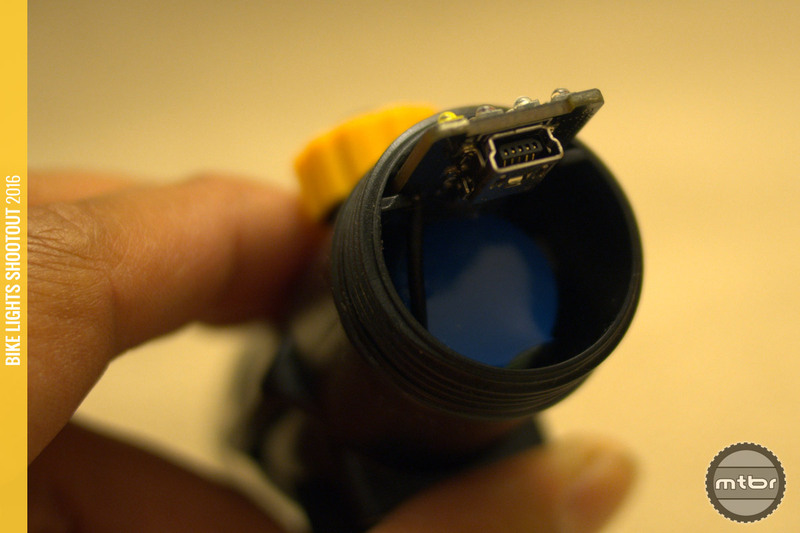 USB Charging plug is accessed by unscrewing the sealed cap. Strip LED lights deliver the output. We used our standard GoPro headband to use this a workbench light. 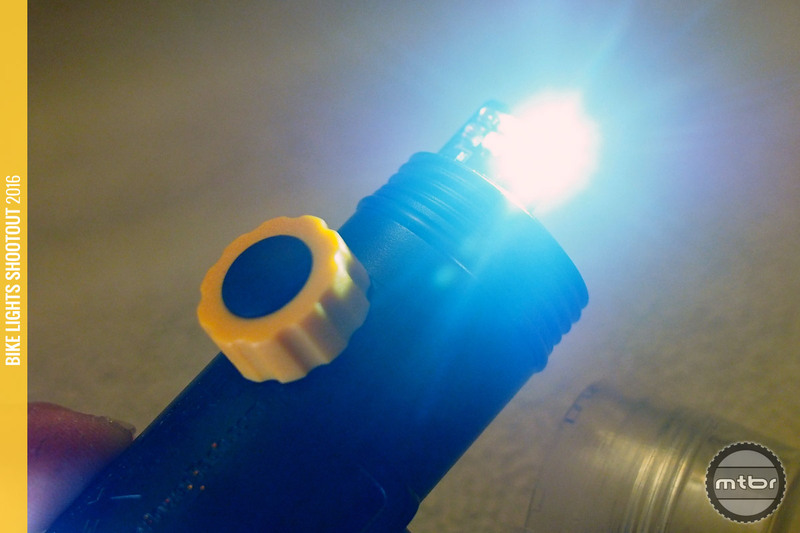 Lights like these are dangerous for others who are blinded by their over-powered beam. There need to be standards adhered to … doesn’t the EU have some ? I think the super bright flashing modes are intended for use in the day, so drivers can see them, not at night. I wouldn’t bother to unscrew it, when you can just lift the little lock tab and slide the whole X-Flare off. 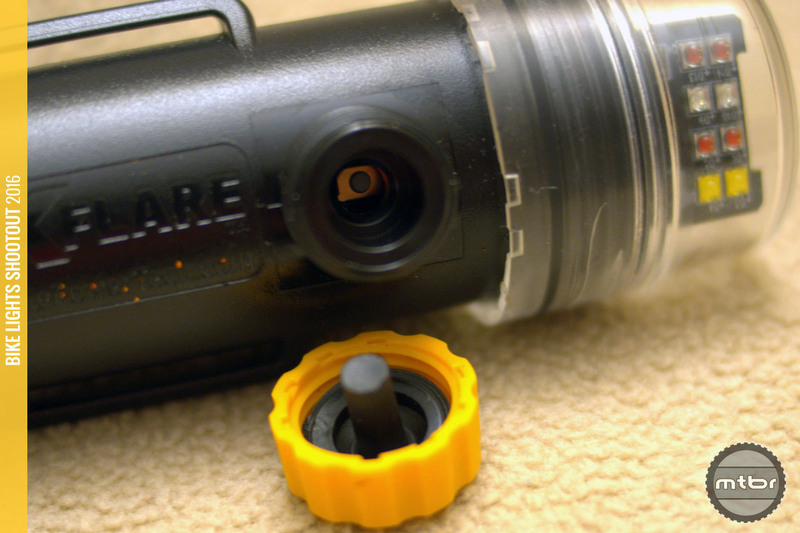 To re-attach, just slide the X-Flare onto the adapter tab until it clicks into place. You can get extra adapter tabs too.